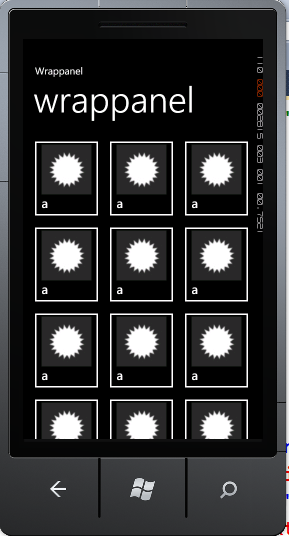 WrapPanel comes as part of Silverlight for Windows Phone Toolkit. You can download it from here . You need to install MSI package after downloading the toolkit to work with WrapPanel. 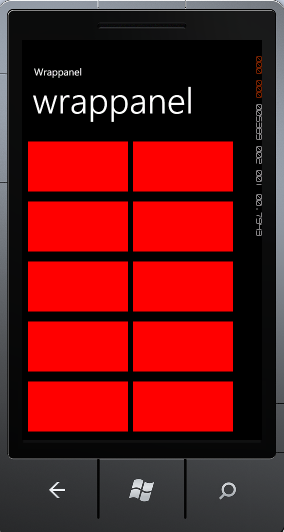 I am going to put 16 red rectangles inside a WrapPanel. All rectangles would be in two columns of WrapPanel. Default FlowDirection is Left to Right. If you want you can change it as below along with the basic properties like Height etc. You will notice that there should be 8 rows visible since there are 16 rectangles but you are getting only 5 rows and not able to scroll as well. You need to put WrapPanel inside ScrollViewer. I have done this and modified the code as below to vertically scroll through all the rows of rectangles. Now on running the application, you should able to scroll vertically all the rows. In the code behind, I have created a class Student. I have also created function to return many Students. In this way you can work with WrapPanel and ListBox. I hope this post is useful. Thanks for reading.